Chasidim, or Hasidic Jews, should stop wearing traditional fur hats because it constitutes animal cruelty, a rabbi recently declared at an animal rights conference. Contrary to the widespread assumption that religious conservatives view animals purely as resources to be used, the rabbi cited Jewish religious law to support his position. Although religious traditions differ on precisely how animals should be treated, the comments show that animal welfare is a religious concern, too. Far from being a religious progressive, Rabbi Schlomo Pappenheim belongs to the Haredi—widely regarded as the most theologically conservative branch of Orthodox Judaism. Of the shtreimel, or traditional fur hat, he said, “We live in an era in which people are more stringent, and they make a lot of noise about tza’ar ba’alei chayim. So we must stop this custom of hurting animals”. The tza’ar ba’alei chayim Pappenheim mentions refers to the law which prohibits causing animals needless pain. He did not stop there, however, going as far as claiming that the hats desecrate God’s name. Traditional shtreimel hats are no bare necessity either, further supporting the rabbi’s argument that it causes animals unnecessary pain. 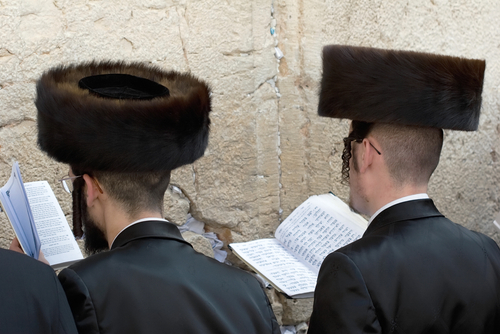 The average hat, which is worn by Haredi men on special occasions such as Shabbat and after weddings, is made of about thirty animals—usually mink, marten, sable, or fox tails—and costs between $100 and $5,000. “We should get to a point where people would be ashamed to wear anything but a synthetic shtreimel”, said Pappenheim, who is chairman of Ha’edah Hacharedit, an anti-Zionist Haredi faction in Israel. Other religions have also been forced to confront their treatment of animals. Proponents of the Muslim halal method of slaughter, which involves cutting animals’ throats, have cited a 1978 study on EEG measurements by Wilhelm Shulze to support the argument that it is more humane than stunning. However, a more recent study on brain signals in calves led by Craig Johnson of Massey University in New Zealand refutes these findings, suggesting that animals do experience pain from halal slaughter. Whether our religion teaches us to slaughter animals humanely, or refrain entirely from killing them, animal cruelty remains a troubling reality. The fact that conservative religious leaders like Rabbi Pappenheim are confronting it in their own community deserves our commendation.